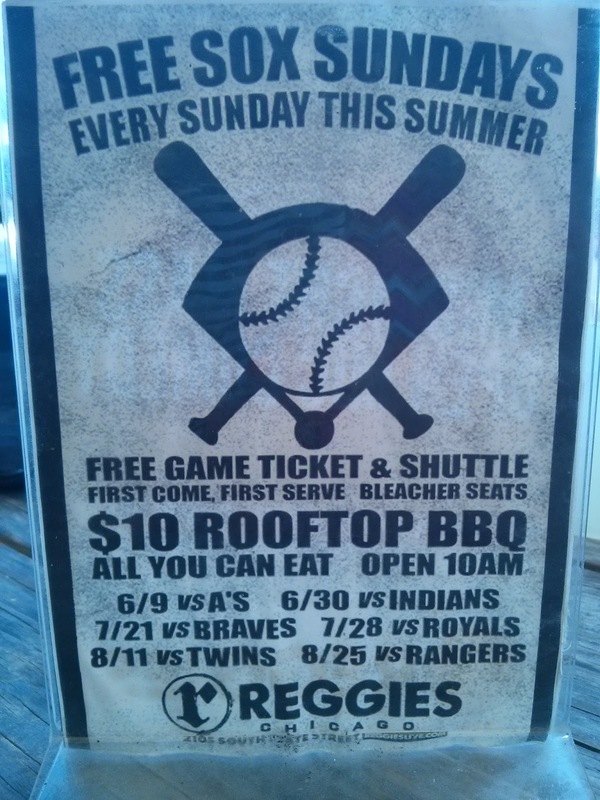 Check out this great deal at Reggie's in Chicago's South Loop. You get all the perks you need to enjoy your team and the great weather we've had around here lately. Just 2 more games to get in on the fun!